...from around the web. I normally don't do this, but I was just browsing around on the web for some great underwear to buy and I ran across a couple deals that I just HAVE to share with you. The first is from Overstock.com. I generally don't think of them as a place to buy underwear, but they have it (not very much)! They currently have a great deal on a three-pack of 2(x)ist trunk briefs. They are selling a three-pack for $28.99 - $31.99 (depending on the size). The list price is $60.00, so that's a little under 50% off! 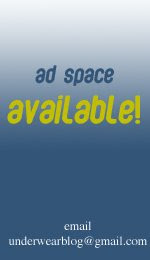 Another deal is from a site that I've never heard of before. 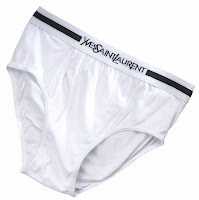 But they have a Yves Saint Laurent brief for only £2.99 (and for the Americans, that's about $6.00). So check that out too at Sports Direct. I don't generally do this, but these deals are just worth sharing.